Bbased on The Jungle Book by Rudyard Kipling about a boy who grew up in the wild, watch the first trailer in the player below! The film stars Rohan Chand, Matthew Rhys, and Freida Pinto, with motion capture performances from Andy Serkis, Christian Bale, Benedict Cumberbatch, Tom Hollander, Peter Mullan, Naomie Harris, Eddie Marsan, Jack Reynor and Cate Blanchett. “The story follows the upbringing of the human child Mowgli, raised by a wolf pack in the jungles of India. As he learns the often harsh rules of the jungle, under the tutelage of a bear named Baloo and a panther named Bagheera, Mowgli becomes accepted by the animals of the jungle as one of their own. 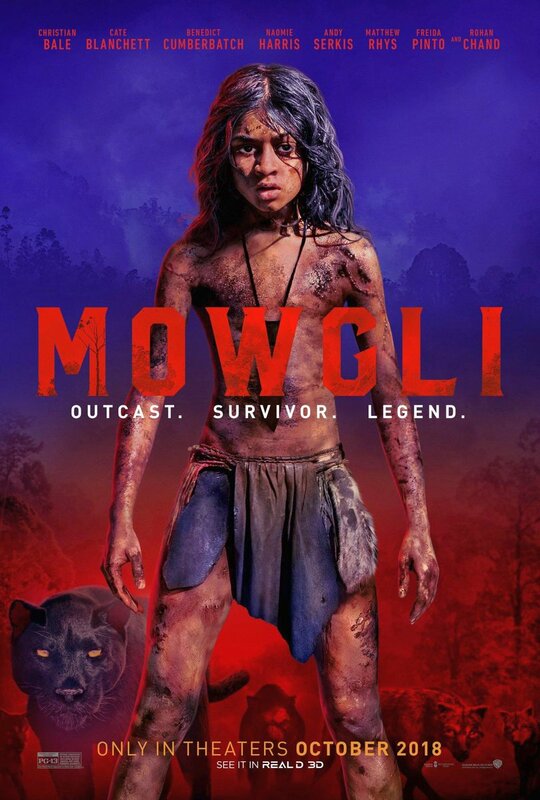 Mowgli is set to arrive in theaters on October 19, 2018, in Real D 3D and IMAX 3D.